Dora Niederman (Zalmonovich) was born on May 16, 1927, in Bhuce, a town in the Carpatho-Ukraine region of the newly independent Czechoslovak Republic. Five hundred families lived in Bhuce. 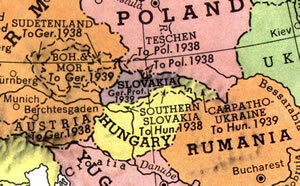 The Jews lived in the town, and the Slovaks and (mostly) Ukrainians on the outskirts. Dora’s mother Chaya Pearl (Berkovich) was a beloved figure. Jews and Christians came to her for advice. Even the geese loved her. Dora’s father David Zalmonovich died of tuberculosis before her birth. Chaya Pearl then married Israel Schlomovich and moved with Dora to Nagaf (Yargof). Israel was in the import-export business (fruit and grain). Dora inherited one step-brother and three step-sisters. She recollects that the relationship between Jews and Christians was very good. Fear wasn’t part of her childhood. The Jews in Nagaf remained in the ghetto for a short time. The day came when the Germans and Hungarians, whips in hand, ordered the Jews to the train and into into boxcars. The Jews had no idea where they were going. They had never heard of Auschwitz. Gas chambers didn’t enter the imagination. The first transport left for the unknown on May 15th. Deportation of Hungarian Jews to Auschwitz-Birkenau in 1944. Several men, not suspecting what awaited them in occupied-Poland, were dressed in coats and ties. The deportation of the Hungarian Jews to Auschwitz-Birkenau in the last year of the war took place with lightning speed, and before the eyes of the world. It was reported in U.S. newspapers. The July 4th issue of The Times-Picayune carried a detailed article about Auschwitz on page 2. World leaders sent messages to Budapest urging Prime Minister Horthy to stop the deportations. He obliged on July 9th. Eichmann, naturally, was furious. Less than two months had passed since the first transport left for occupied-Poland. The victims numbered 434,351. As the transports rolled from Hungary to Auschwitz, John Pehl of the War Refugee Board requested that American planes bomb the railroad lines between Hungary and Auschwitz. The War Department (Pentagon) rejected the request. The operation, it said, would be of “very doubtful efficacy.” The only way to rescue the Jews was to win the war. Dora was in Birkenau for three or four months. She gives us a vivid account of daily existence in the camp: “We had about twenty-five girls sleeping in one bed. And when one turned, we all had to turn. One couldn’t turn without the other ‘cause it was like herrings pressed together.” During roll-call, Mengele observed rashes on Dora’s legs. He ordered her to the camp’s “hospital.” Intuition told Dora if she remained in the “hospital” she would end up in the gas chamber. “So I got separated from the girls, and I really didn’t know what to do.” She slipped away from the hospital and rejoined her friends. That very night they were awoken and taken to Stutthof, a concentration camp on the Baltic coast, in East Prussia. “It was not my time to die,” Dora says. 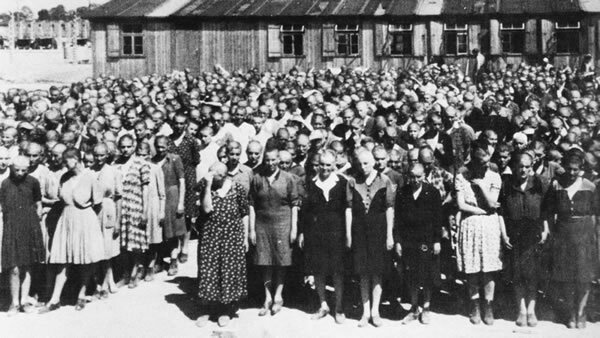 Dora describes her arrival at Stutthof: “The same thing, the SS with the guns, with the dogs. Where we going to go? We didn’t even know where we were. Where we going to run away? But still they brought the dogs.” The Germans made elaborate preparations for a Red Cross visit. In the fourth year of war, the Germans tried to refute the reports of “death camps,” and enlisted the cooperation of the Red Cross. Dora returned to Bhuce, her hometown. The house was in ruins. Her mother’s geese were in the neigbhor’s yard. Dora called for them and they came running. She next traveled (illegally) to a “Displaced Persons” camp at Santa Maria del Lauca, Italy. In this far-away setting she met Isaac Niederman, a survivor from Satu-Mare, Romania. They tried several times to reach Palestine but the British turned them back. 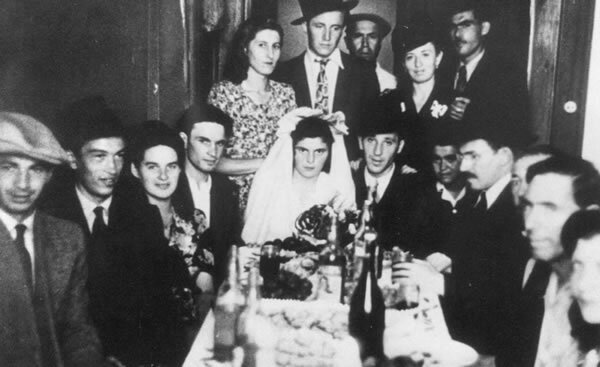 By the time the state of Israel was established in May 1948, Dora and Isaac had received visas for the United States. They got married on September 3, 1948, and arrived in New Orleans on May 17, 1950. For 57 years, Isaac worked as a silver polisher at Adler’s Fine Jewelry on Canal Street. Dora operated a dry cleaning establishment. Because of the war, she was unable to bear children. Dora didn’t talk about the war for fifty years. She broke her silence in 1989. David Duke was elected to the Louisiana legislature that year. He’s a neo-Nazi and, it goes without saying, a Holocaust denier. Duke ran for Louisiana governor and for the U. S. Senate. He lost each time, but took home the majority of the white vote. Dora was in poor health during her last few years. She died on August 6, 2009. Isaac lived another five years. He died on January 19, 2015.